It's time to make green smoothies a part of your regular diet! This one change will have a huge positive impact on your energy levels and overall health. 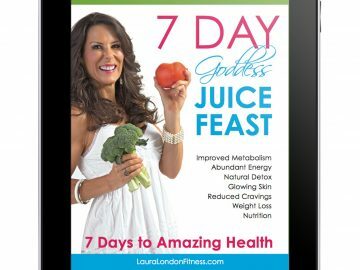 Over 80 delicious and easy to prepare gluten-free protein, detox and beauty smoothies are included in my Green Goddess Smoothie e-book. Drink your way to a hot and healthy body! 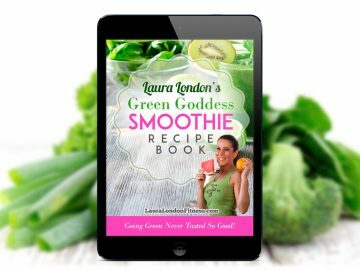 With over 80 delicious recipes to choose from, the Green Goddess Smoothie Recipe Book is the answer to boosting your energy levels and keeping yourself fueled all the day. Starting each day with a green smoothies is the best way to kick-start your day. I have one every morning to fuel me through out the day. They are quick and easy to make and will fill your body with nutrition at the cellular level. 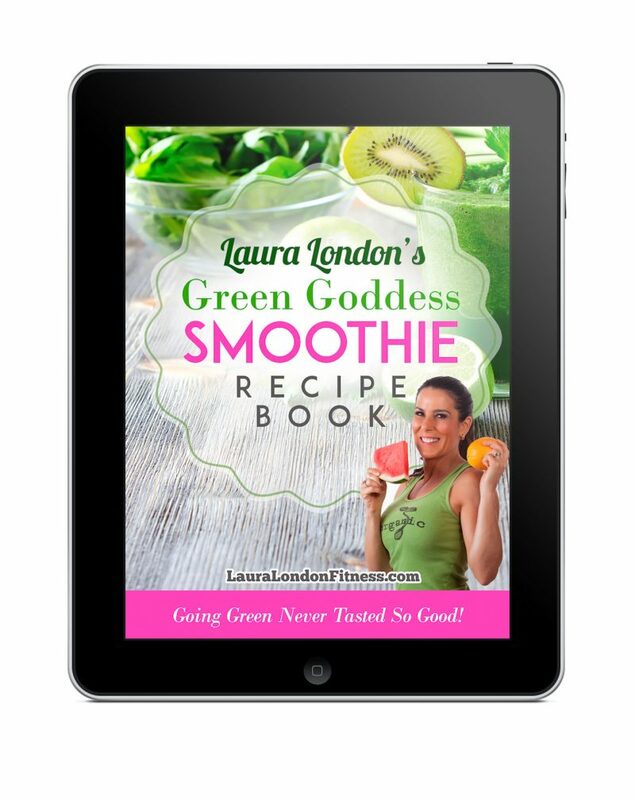 If you want more energy, glowing skin, weight loss, reduced inflammation, a more restful sleep, balanced hormones, and improved digestion, then the Green Goddess Smoothie Recipe Book is your answer. I wanted to share with you the benefits that I have gotten with your green smoothies. The one with kale and spinach. The cracks on my heels…gone. A battle for twenty years! Heart burn problems…. Gone! My skin is soft. No more rough elbows. My hair seems longer. Face has more color. Lost 4 lbs. when I started drinking it 1 month ago I had absolutely no idea about any of the benefits. I am now sharing this with my friends. Thank you!! 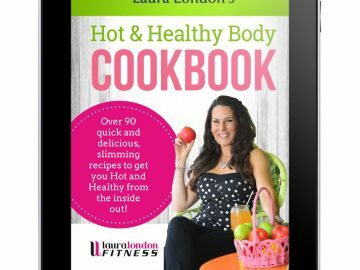 Laura, I love your Goddess Green Smoothie e-Book. It is fun and colorful and the recipes are so simple and easy to prepare. I even got my husband drinking smoothies! I am hooked on them. I always knew green smoothies were good for me but I just did not know where to start. I love the way you talk about the different vegetables and blenders to use. I am now called the Smoothie queen at my office because I bring them to work everyday. Everyone wants my recipes. Thank you Laura.